- John Cena announced over the weekend that he will be making his in-ring return on September 1st when the WWE invades Shanghai. This will be Cena’s first appearance since the Greatest Royal Rumble nearly four months ago. Today, WWE has released a video of Big Match John discussing his training at the JC International Training Centre and promises that he will have a new “6th move of doom” since his signature Attitude Adjustment doesn’t seem to be getting the job done anymore. I’ve reworked the Attitude Adjustment just about every way I can. I’ve done it off of the second rope, I’ve done two in succession. I’ve done it left-handed, right handed. It used to be about hundred percent with its batting average, and now it’s about fifty-percent. Maybe less. So not only is this a new maneuver that has a true foundation in Chinese culture, which I’m very proud of because I love to pay respect to my experience here, but it is also extremely powerful. I’m very excited to debut something that I’ve learned here that maybe I can take a piece of my Chinese experience back to the world. 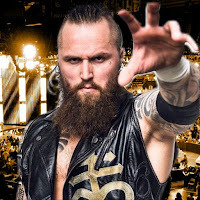 - As noted, Aleister Black is out of action after recently undergoing surgery. Black was reportedly injured after being crotched by NXT Champion Tommaso Ciampa at an NXT live event in Las Vegas last week. There were rumors that Black pulled his groin, but Dave Meltzer wrote on the F4WOnline message board that those reports aren't accurate. Meltzer added that "it's more serious than that." Black is scheduled to face Ciampa and Johnny Gargano in a triple threat match at Takeover next week, and WWE has yet to officially pull Black from the match.